In few days it will be our Gallardo first birthday: 1 year from the release. To celebrate its birthday we decided to organize a special event at A1-Ring with the Gallardo. On Thurday at 21:00, just show up here in our chat and we will give all the information to join our server. All Lap times has been resetted due to the possibility to do an invalid lap recorded in practice mode. We will keep on working on the website in the next period to display all the informations gathered by the app, and to add more functionalities and statistics. 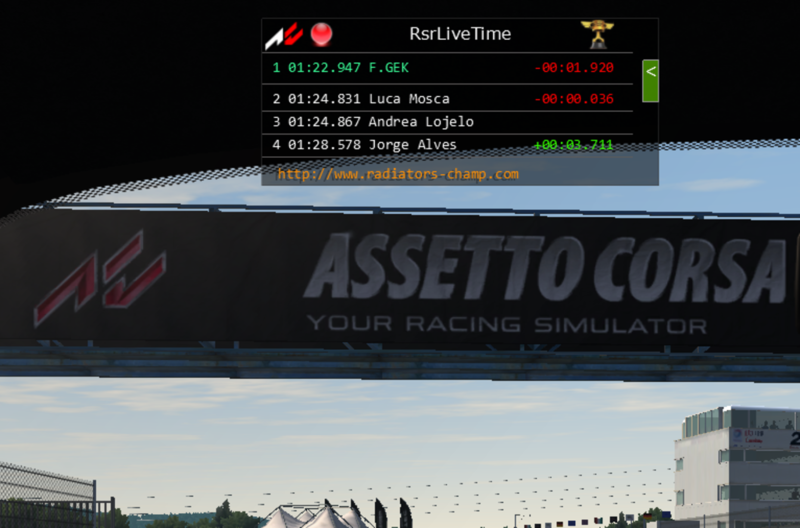 RSR Live Timing it's ready to GO LIVE! It's finally time to Go Live!